If you are not building an email list, it means you don’t realize the importance of having a list of subscribers who are interested in your content. If you listen to top bloggers, they always say that “money is in the list” and don’t say it just for the sake of statement; they mean it. 1.7 Conclusion on Why You Should Build an Email List? Who should be building it? An email list is a list of subscribers who opt-in to get your fresh content, news updates, or optin bribe in exchange for their email address. When a website visitor or a blog reader gets interested in your content or product and likes to listen to you more, then the visitor/reader could subscribe to the email list to stay connected. There is no rocket science in understanding that why it’s important to build an email list. A lot of websites, blogs, and companies are building email lists because they want to connect with their audience or build a connection with their clients. The important aspect of building an email list is that the visitor or reader chooses to be a part of your email; all you can do is offer something for free or just put an optin box on your website to let them subscribe. I’ll try to convince you to start building an email list, whether you’re an e-commerce site, an ad agency, or a blog – if you aren’t building an email list, you are missing out on various opportunities. 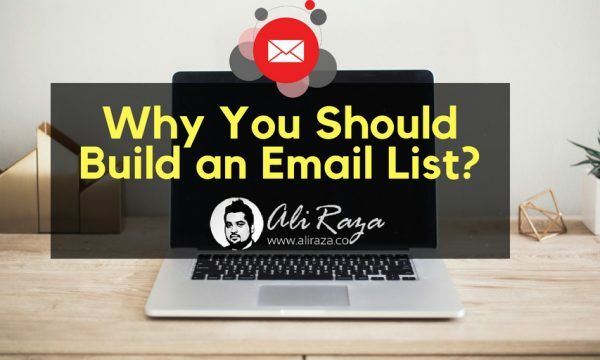 The number one benefit of building an email list is that you get to compile the email addresses of the fans or customers who would like to listen to you in the future. It gives a big advantage when you have the ability to reach out to the people without any third-party social media network. The seamless contact with the fans or customers is a big deal, especially in today’s social media world where brands keep complaining about their Facebook page reach and YouTube feed visibility. So that’s why you should build an email list whether you’re a business, blog, or a multi-national company. When your email list starts to build up, it shows that how audience is reacting to your content. It could be a sign that the content is working for your brand because it’s generating leads. Normally, brands use their official blogs to publish content and build email list. In case, you’re a website or blog, it won’t be difficult to analyze that which blog post is getting traction. Use your analytical tool to see which blog posts are doing well and you’ll find out the story of it. What you can do next is double down on that type of content to keep building the email list. One of the reasons of building an email list is that you get in contact with the people that would like to be in contact with the brand or blog. You can send out newsletters or updates to them to let them know that what you’re up to. Similarly, you can reach out to them if you have something important to share with them. You can look into your inbox and see many emails from different brands that sent out “update emails” to let you know something important in the past. So you can reach out to your customers or subscribers if you have an email list to communicate. I have no doubt that a big and active email list shows how strong of a connection the brand or blog has with the audience. Although the size of the email list doesn’t matter, what matters is that how engaged the audience is with the emails. If you’re familiar with email marketing, then you must have seen the open-rate; which is the percentage of the opened emails as compared to the total emails being sent. When you have an email list and it’s growing every month, it shows that your brand is becoming authoritative and strong with the passage of time. One of the perks of having an email list is that you can always send out an update email about your new product or package. Since the subscribers already know your or your business so they don’t feel awkward about it. A lot of companies send such offer updates to their subscribers. It’s considered by the marketers that email list converts better than the social media. You might be focusing a lot on paid social media marketing, which is fine, but pay attention to email list building as well. Latest development is like, you might have seen blogs and brands announce acquisitions; latest updates, or other news through newsletter. It’s a great way of communicating with the audience that care about your brand or blog. In fact, they deserve to know what’s going on with the blog or brand they once subscribed to via email. Conclusion on Why You Should Build an Email List? You may find a dozen more reasons why you have an email list. The truth is that it requires patience and work. You can’t start today and end up building a list of 20,000 people in a month. There could be exceptions, but in the most cases, it takes time. People quit too early when they start building an email; it’s a process so don’t rush it. I have shared six reasons why you should start focusing on building an email list. If you’re a blog or business owner who doesn’t have an email list, then go to Mailchimp to sign up for a free account, and buy a plugin called Bloom, and start collecting email addresses. I also use both Mailchimp and Bloom tools. 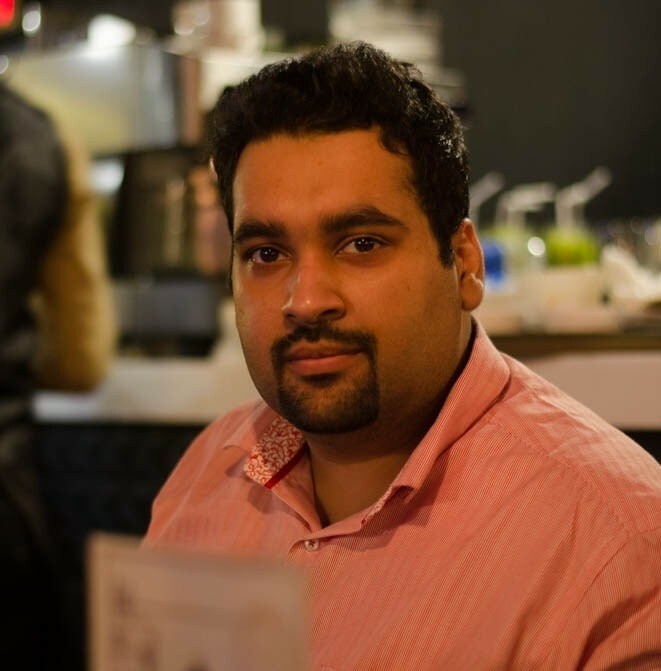 Join Now to Get Latest Tutorials, Case Studies, Personal Analysis and Digital Marketing Insights Straight Into Your Inbox! Thank you for this article, Ali. I’m using the Bloom plugin & Mailchimp on my blog, too. Thank you so much for this wonderful information for email marketing. Great post, very informative and helpful guide.